You know that old saying about fighting fire with fire? Well, the Trump administration is thinking about fighting firearms with firearms. 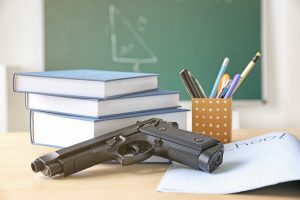 On March 14, 2018, the U.S. House of Representatives passed the STOP School Violence Act of 2018, a $50 million bill that is designed to implement stricter school security measures. 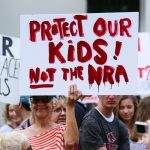 The bill does not, however, do anything to tighten gun control laws. Naturally, this proposed plan has sparked a lot of controversy. Connecticut Senator Chris Murphy is one of many Democratic lawmakers who are adamantly opposed to the measure.